It's very simple to avoid this situation. Make a power failure kit. You can put it in a box, assign it a drawer or keep it in a duffel bag. As long as you know where it is at all times, you'll be good! When the power goes out, the first thing you will need will be light, so the first thing that you will need to put in your kit is a flashlight. Flashlights are good for immediate light and the best thing to have if you need to walk around your house and need something portable. However, since they run on batteries, you will also need to have other sources of light that will not run out as the batteries die. The best choices employ the centuries old light source: fire. Candles are the cheapest and easiest source of light for long periods of time. The unfortunate thing about candles is that the fire is usually out in the open, and therefore a fire hazard. If you decide to use candles, it is better to have a glass globe that you can put the candle in. Make sure you have matches or a lighter to keep in your kit. 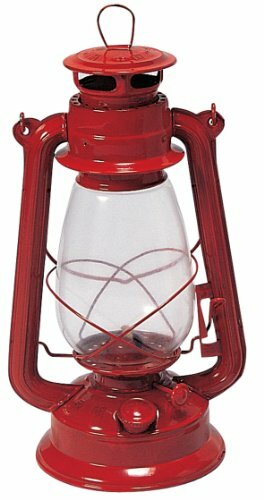 My preferred choice for my power failure kit is an oil lamp. They are not that expensive, and neither is the oil. 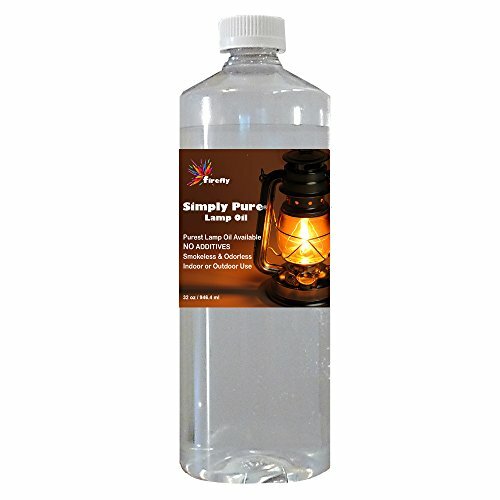 I store my lamp without oil in it, and keep a full 32 ounce bottle of oil in my kit. This will give you light for a long time and is even good if you need to take it outside because wind will not blow it out. This is the lantern and oil that I have in my kit. I got them from Amazon for about $20. The lamp comes with a wick, but you may want to buy some extras. If you would like more information on types of oil lamps and how they work, the video below has lots of information so you can make an more informed decision on what lamp you would like for your power failure kit. Another really important thing for you to have in your power failure kit is a portable radio and extra batteries. It does not have to be a fancy emergency radio, it can be any battery operated radio that will get local channels for weather reports and hopefully reports on when the power will be coming back on. The last thing that I put in my power failure kit is a deck of regular cards and a deck of Uno cards. It can get pretty boring during a power outage once the phone, tablet and laptop batteries die. I also have a short stack of games in my linen closet that do not take electricity: Monopoly, Chinese Checkers, Jenga and Boggle. There are many other things you will need during a power outage, but once you have light you can find warm clothes, food and drink and blankets. I kept my kit small on purpose with only the essentials because I feel that is all that is necessary. Just don't forget to replace the batteries a couple times a year for fresh ones. Jade, I found your suggestions very helpful and interesting. It sounds as if you have your kit in your linen closet, which would work for me because it is at the end of one hall and I could find it easily. It seems like the minimum is a lantern and oil and a radio and batteries, and all the rest would be taken care of. I liked your game suggestions. I appreciated that you found a simple radio for us that still met our needs. Now, the last time the power went out in our area was during Thanksgiving, and I actually had a turkey in the oven! We had to wait for the power to go on to complete our baking that, we still need our power, but your suggestions are very helpful in most situations. that is a good idea! I usually know where a flashlight will be, unless its borrowed! What great tips for when the power goes out.